Which tourism operators use icebreakers? This is a question I often hear from people interested in traveling to Antarctica and it’s an interesting question for me as the questioner usually seems to assume that an icebreaker is the best and safetst ship to travel to Antarctica. Icebreakers are certainly hearty ships but maybe a better is What is an icebreaker and should I travel on one to Antarctica? Kapitan Khlebnikov is a polar class Icebreaker vessel. An icebreaker is a ships that has a couple of important qualities. It needs to have a reinforced hull for work in ice but this allow doesn’t define an icebreaker as all sensible ships operating in the polar regions have reinforce hulls. 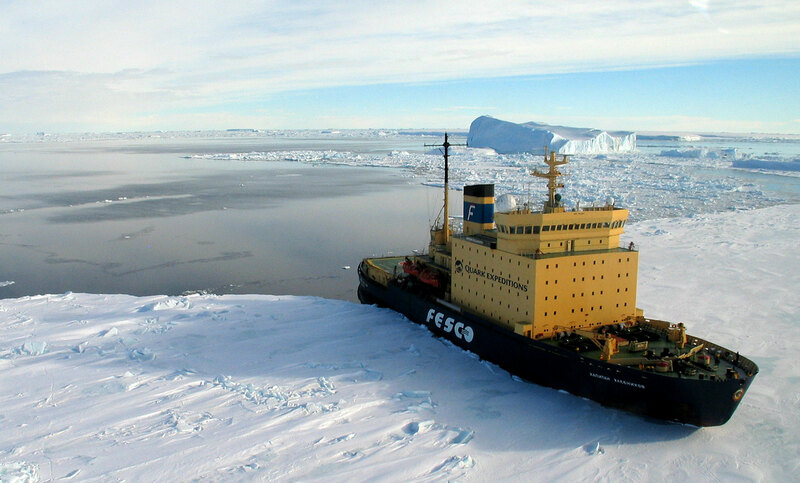 An icebreaker must also have the ability to push through ice, preferably multi year ice. In order to do this it needs to be designed to be able to break ice without effecting the stability of the ship in the water. Strong icebreakers often have a flat bottom hull which will allow the ship to essentially ram thick ice, rising it’s hull above the ice and crushing it. And it’s these flat bottom hulls that often mean that icebreakers are not the best ships are not the best option to take to Antarctica as a cruise ship. The lack of keel means that the ship is less stable in open sea and although that doesn’t mean the ship is necessarily more likely to sink, it does mean that the ship provides a much less pleasant sailing experience from the perspective of someone traveling on board. Should I travel on an icebreaker to Antarctica? So unless you’re wanting to crunch through miles of thick ice (which you normally wouldn’t want to on an Antarctica cruise as it takes a lot of time) then an icebreaker probably isn’t the sort of thing you want to travel on. What you probably do want however is an ice strengthened ship which has reasonable stabilisers to make your cruise as safe and comfortable as possible. But how do you tell if a ship is suitably strengthened? Well the short answer is that they all are essentially – otherwise they wouldn’t be allowed to travel there in the first place by IAATO – the organisation that oversees tourism in the Antarctic. But some ships are better than others for sure. The other thing that makes it hard to compare is that there a range of different ice classifications for ships. There are Russian, Finnish, American and a more recent International classification. Within the tourism industry the Finnish system seems to be used most and most Antarctica Tourism ships fit into their 1A, 1B or 1C catagories. A being the strongest and C being the lowest. Look out for any reference for these three ratings when comparing ships as this is your best way to gauge the relative capabilities of one Antarctica ship compared to another. We offer a range of Antarctica cruises and flights to suit all budgets and travel styles, and endeavour to match you up with the most suitable expedition option for you. From epic voyages to the Ross Sea to classic cruises to the Antarctic Peninsula and flights to Antarctic islands, our range of adventures is as varied and enticing as the icebergs you’ll no doubt come across! Contact us for more info. 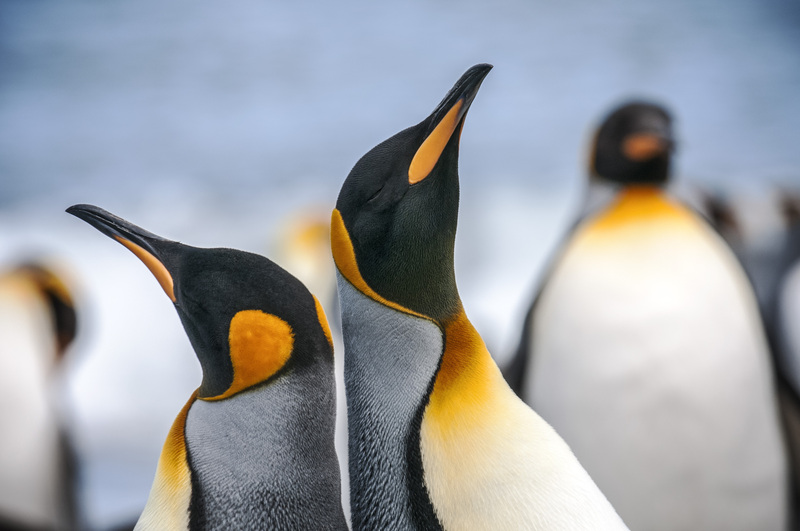 Visit our Antarctica page for our complete list of Cruises and Specials deals page for our current offers.